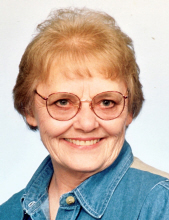 Glenda Crawford Day, 82, of Beaumont, TX died Saturday, February 2nd, 2019 at Spindletop Hills Nursing and Rehab in Beaumont. A native of Beaumont, she was a Loan Officer for many years at Lamar State Bank. She enjoyed bowling, going camping, baking, crocheting and working crossword puzzles. Glenda loved to spend quality time with her family and friends but her special joy in life was spending time with her granddaughter Ashlyn. Visitation will be Monday, February 4, 2019 from 12:00 p.m. to 2:00 p.m. at Memorial Funeral Home of Vidor. A graveside service will follow at 2:30 p.m. at Restlawn Memorial Park. Glenda is survived by 1 daughter; Stacy Barnes and her husband Todd of Beaumont, 1 son; Wesley Day of Beaumont, and 1 granddaughter; Ashlyn Barnes. She is also survived by 1 brother; Wayne Crawford and his wife Pat of Vidor, mother; Beatrice Crawford of Vidor, 1 sister-in-law; Sandra Wylie also of Vidor along with numerous nieces and nephews. Glenda was preceded in death by her husband; Price Day, parents; Marvin and Shirley Crawford and 1 brother; Alton Crawford. To send flowers or a remembrance gift to the family of Glenda Crawford Day, please visit our Tribute Store. "Email Address" would like to share the life celebration of Glenda Crawford Day. Click on the "link" to go to share a favorite memory or leave a condolence message for the family.